Inspired by the author’s own experiences and observations as a child and throughout adulthood, Crosshairs tells the story of the the implosion of the traditional Boston underworld that created a vacuum for the players left at the table. Justin McGee is a high-powered attorney who moonlights as the city’s most successful and highly paid assassin. Former Irish crime family member, Darby McBride, is an aging mobster looking for a new life as a sole proprietor in the reinvented underworld. Captain Caleb Frost is a hardscrabble Gloucester fisherman who comes to a crossroads between his own sense of principles and ethics and the lure of the lucrative New England heroin trade. 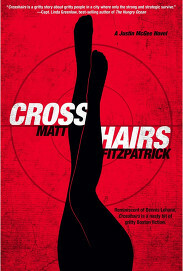 Crosshairs is the story of three desperate individuals grappling with a world that places money and hidden desires above all else. These players are seeking not only survival, but the ability to thrive. Their unique advantage―unlike the drones of the rest of the world―is that they are devoid of any pesky morals that could get in the way of achieving their desires. 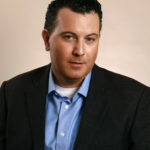 MATT FITZPATRICK grew up in a very politically active and connected Irish-Catholic family. He is a US Coast Guard licensed sea captain on top of having a very successful 25-year career in the investment management industry. He describes his first novel as “Boston Grit.” Matt lives on Cape Cod. Distributed by Midpoint trade books. Available whereever books are sold.